*The currency rates listed below the sentence is the data of July 20th, 2016. Please be careful that currency rate may differ. 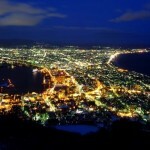 *1 : 3 best night views of Hokkaido…Mt. Hakodate, Mt. Otaru Tengu, and Mt. Moiwa. 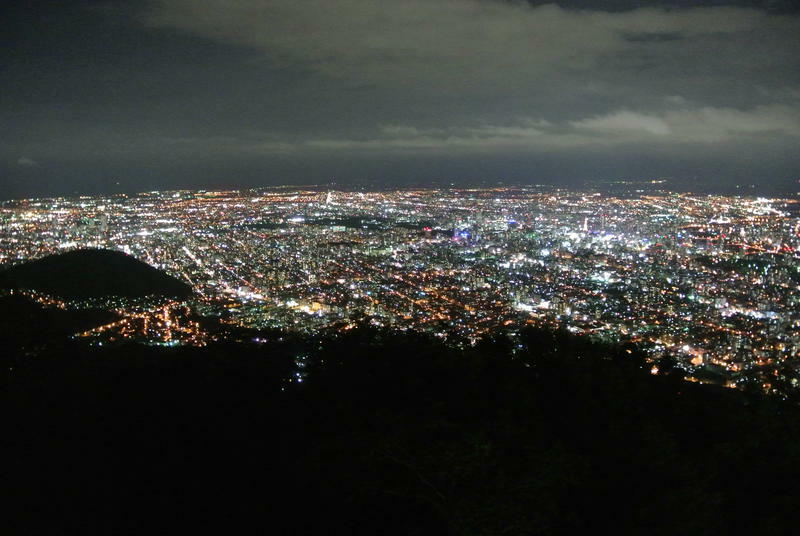 *2 : 3 new best night view cities of Japan…Sapporo, Nagasaki, and Kobe. They were selected as a result of the night view summit 2015. “Place for lovers”: A date spot that brings you happiness! “Barrier free”: Friendly access for everyone! 3 .“Mt. 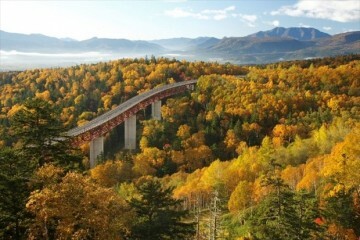 Moiwa ropeway” and “Moriss car” take you up to the mountain-top observatory. Mt. 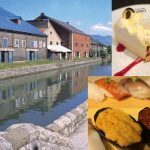 Moiwa is selected as one of the “sacred places for loves”. It provides couples with a special moment. In addition, after the major renovation in 2011, the entire building is barrier free: accessible for everyone. There are a lot of souvenir shops and restaurants, too. 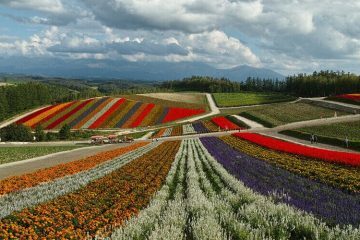 It is a place that everyone can visit very easily. 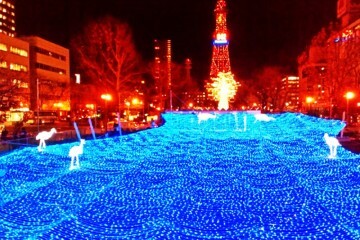 The biggest attraction is the ‘‘360 degrees panoramic view’’ of entire Sapporo city. 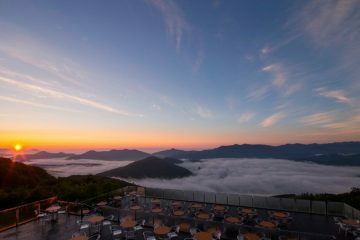 From the mountain-top observatory at sea level of 531 m (1742.1 ft), you can see Ishikari plain and bay, Mashike mountains and 360 degrees magnificent view, together with an overview of Sapporo town. “Sacred place for lovers”: A date spot that brings you happiness! 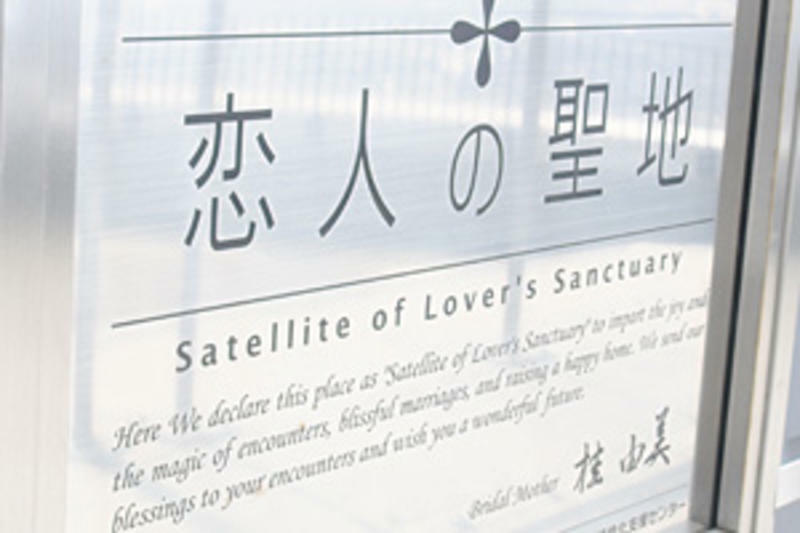 An NPO, Area Activation Supporting Center, has selected places that are great for proposal amongst sightseeing spots all over Japan and listed them as ‘‘sacred places for lovers”. The observatory of Mt. 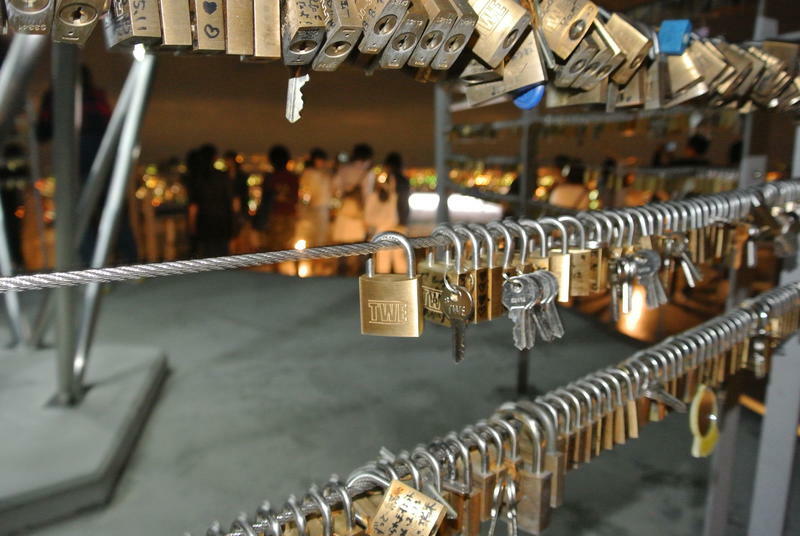 Moiwa has things like ‘‘Fortune bell” and ‘‘Love padlock”, that help mature the couples’ relationship. Situated at the center of the observatory, this is a photo spot that really stands out. The guy should hold the longer thread while the lady holds the shorter one. 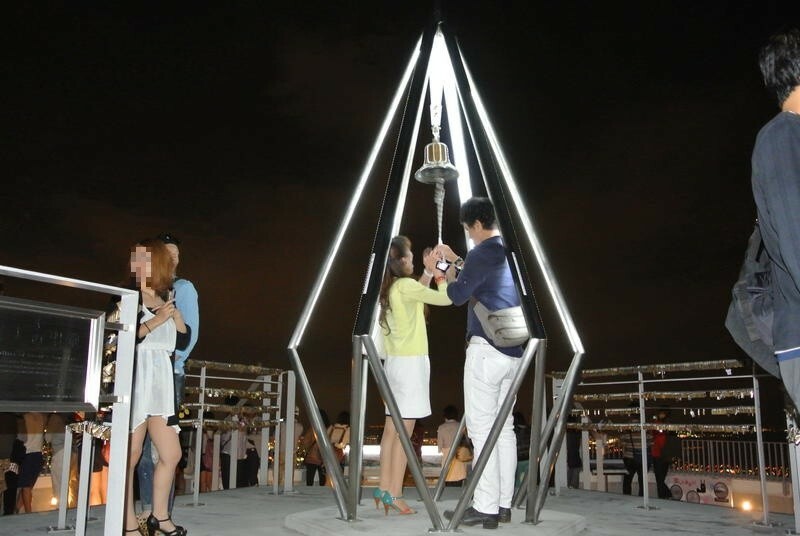 When they ring the bell together, it is believed that their love will flourish. The handrail around the bell is for you to put a padlock on. It is said that if you write you and your lover’s name on the padlock before locking it on, that couple will never break up. 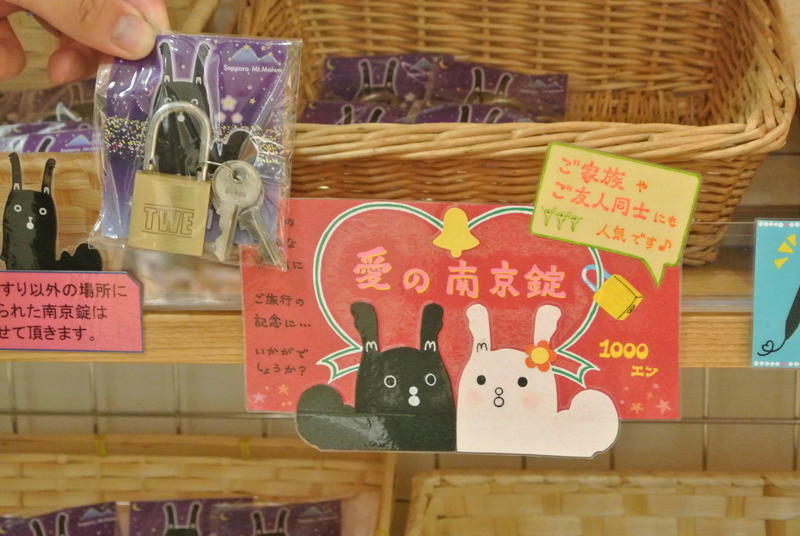 Padlocks〈1,000 Yen (USD 9.53)〉are available at souvenir shops in Chufuku station. The only restaurant with the night view of Mt. Moiwa! The restaurant’s wall is glass panel all around. 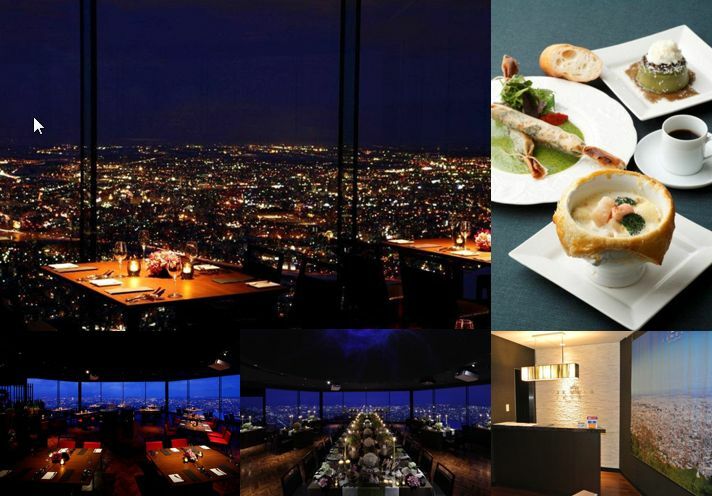 Enjoy your dinner with 180 degrees panoramic night view. Dinner courses are from 3,500 Yen (USD 33.37), and highly recommended for anniversaries as well as normal dinner. 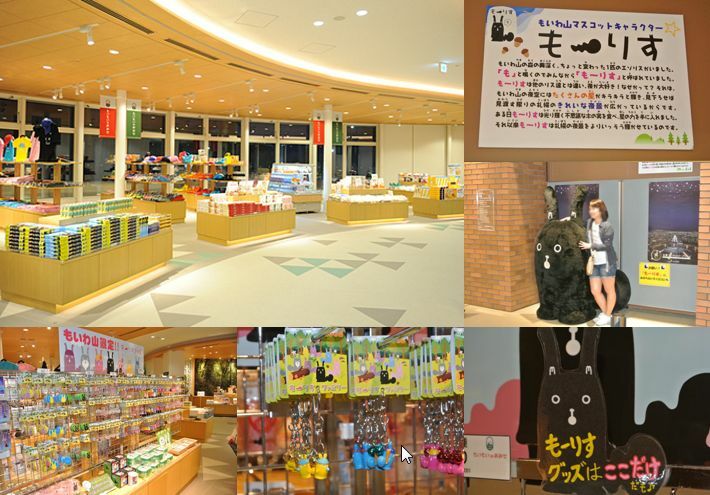 They sell various souvenirs from food to cute goods. Moriss series are particularly popular, only available at Mt. Moiwa! All facilities are easily accessible for everyone: small children, elderly, wheelchairs and disabled people. 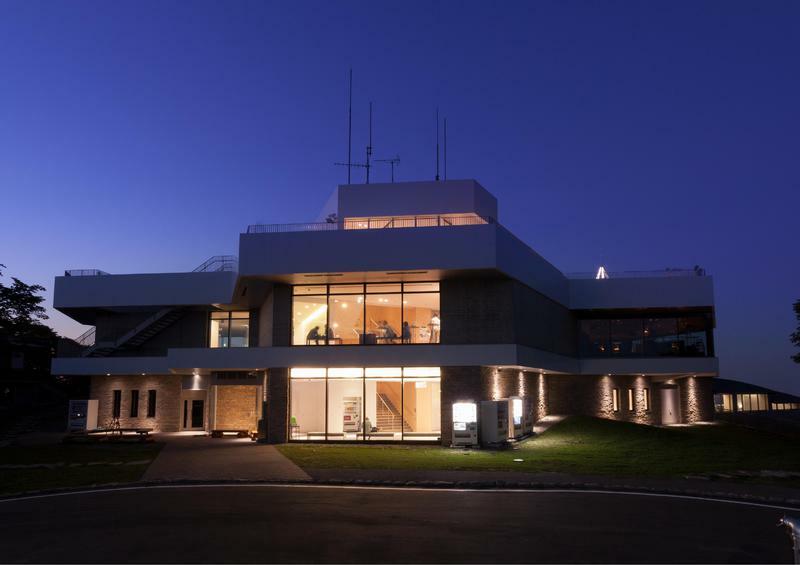 The mountain-top observatory is fully equipped with elevators from the 1st ground floor to the roof top floor, making it accessible for everyone. 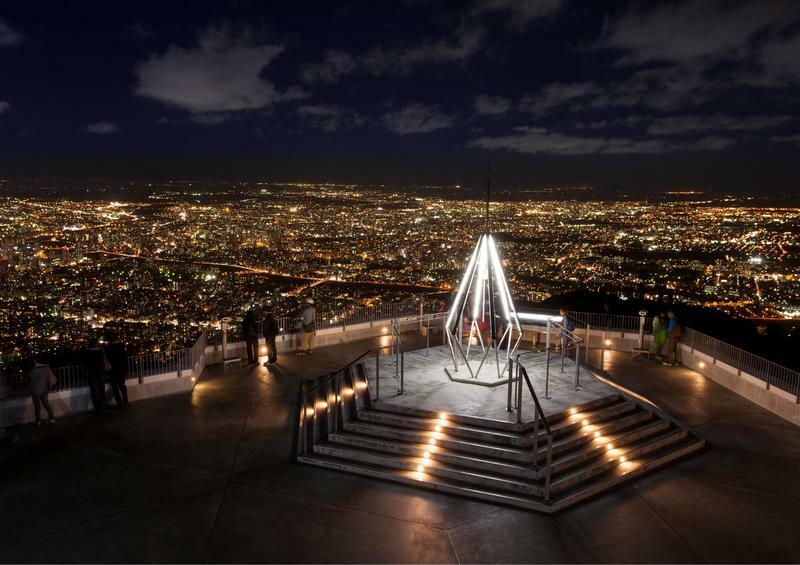 In addition, even in rainy or winter seasons, you can still go to the inside observatory and enjoy the same amazing view. 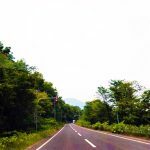 It is easy to access Mt. 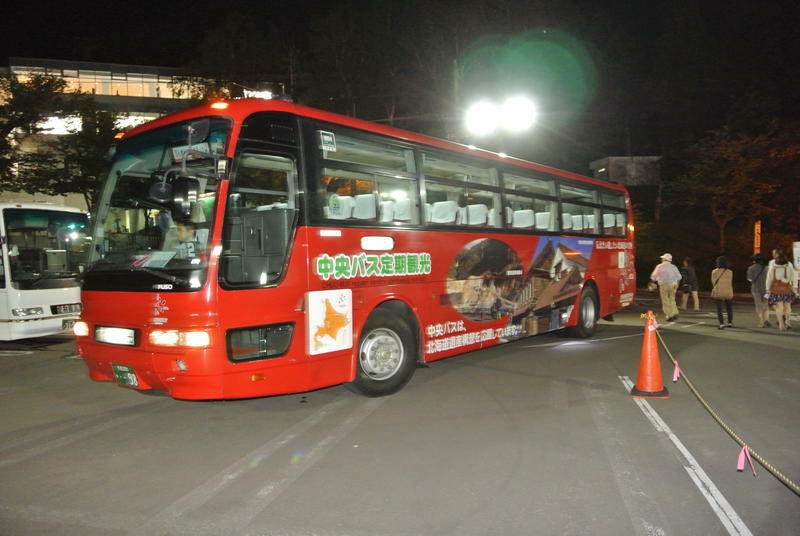 Moiwa, as there are local trains, buses and regular sightseeing buses going there. 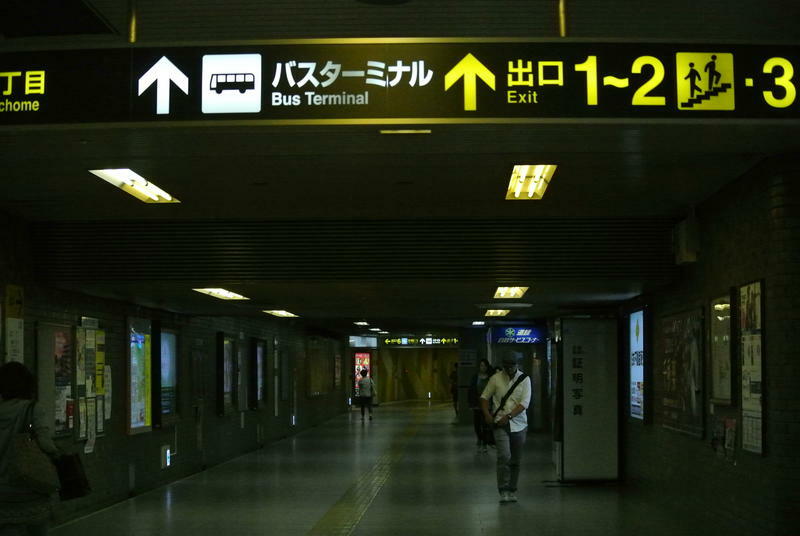 Our recommendation is to use ’’local trains” (about 30 minutes from Susukino)! 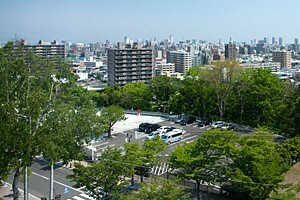 It takes about 20 minutes from Nishi 4 chome or Susukino stop, as you enjoy the view from the window. It takes about the same time from either stop. 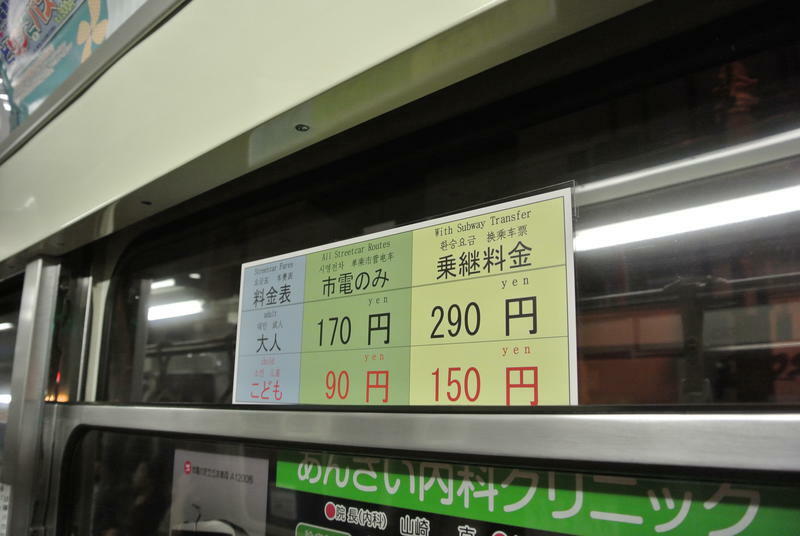 One way ticket costs 170 Yen (USD 1.62) for adults and 90 Yen (USD 0.86) for children. 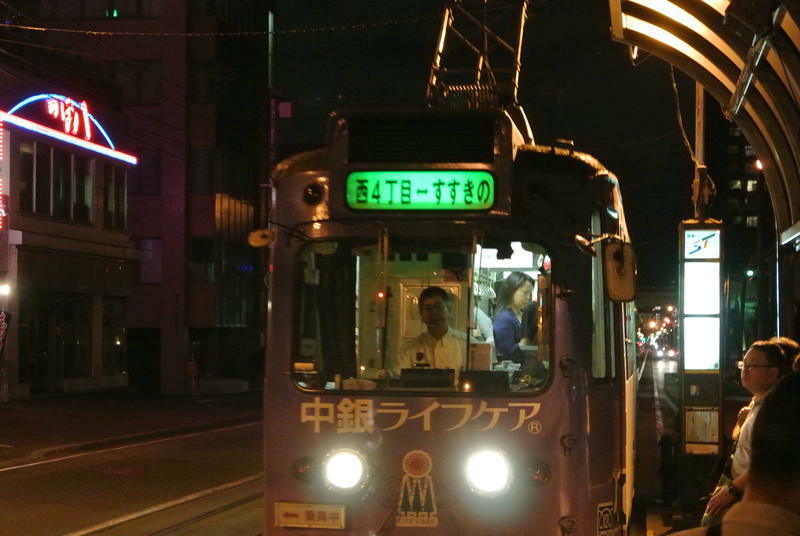 This train looks antique, but you can still use an IC card. Get off at Shiden ropeway iriguchi stop. There are arrows pointing toward Ropeway sanroku station. It is easier if you get on the shuttle bus from Sounth 19 West 15. 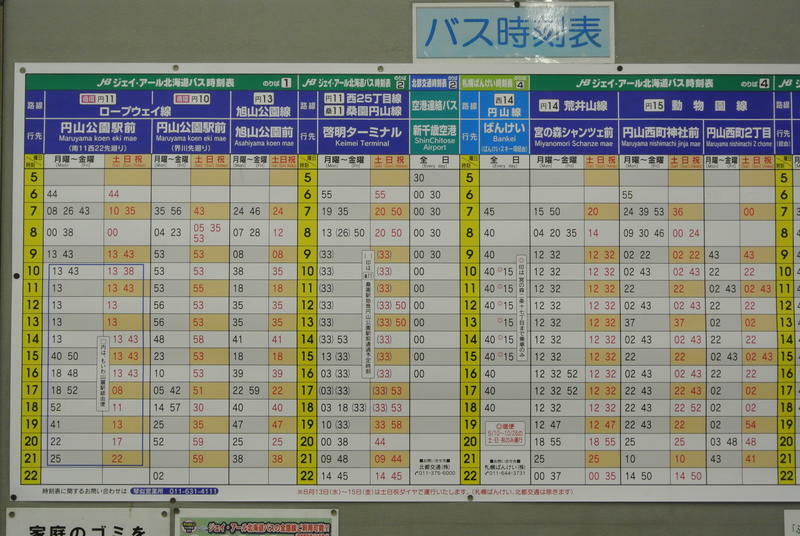 You will have no problem as the stop even has a map for the shuttle bus station. It only takes 1 minute on foot. 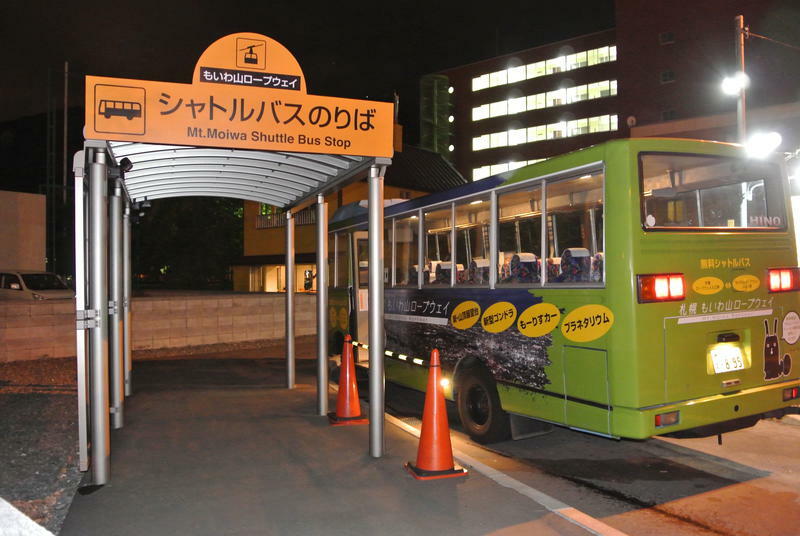 The shuttl buses take you to Mt. 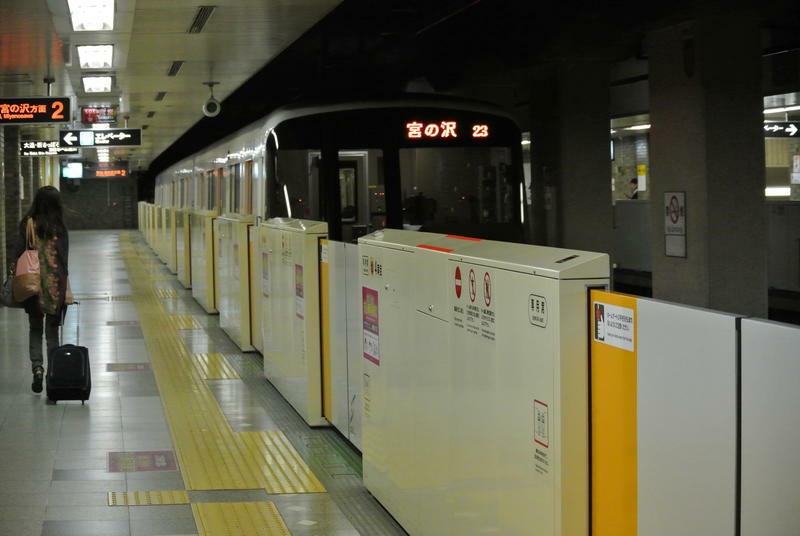 Moiwa sanroku station in about 5 minutes, and operate every 15 minutes. 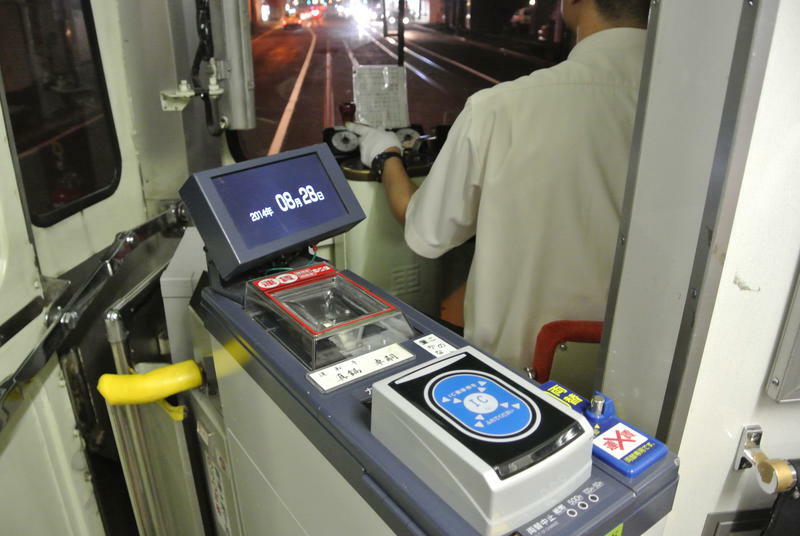 Get a train from Ohdori station toward Miyanosawa, and it takes 6 minutes. 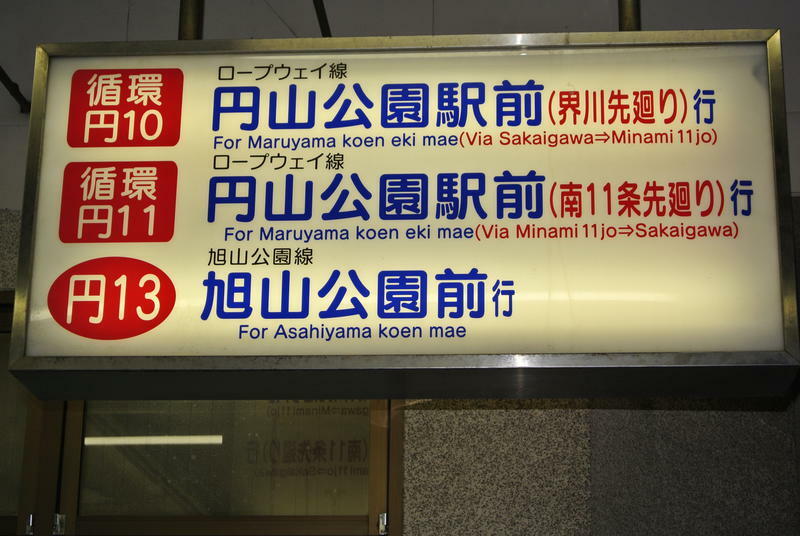 Use the Maruyama Koen exit and follow directions to get to the bus terminal. The bus terminal has a waiting room, so you don’t feel cold even in winter. Get on JR Hokkaido bus, Ropeway line［Circle No. 10 or No. 11］. 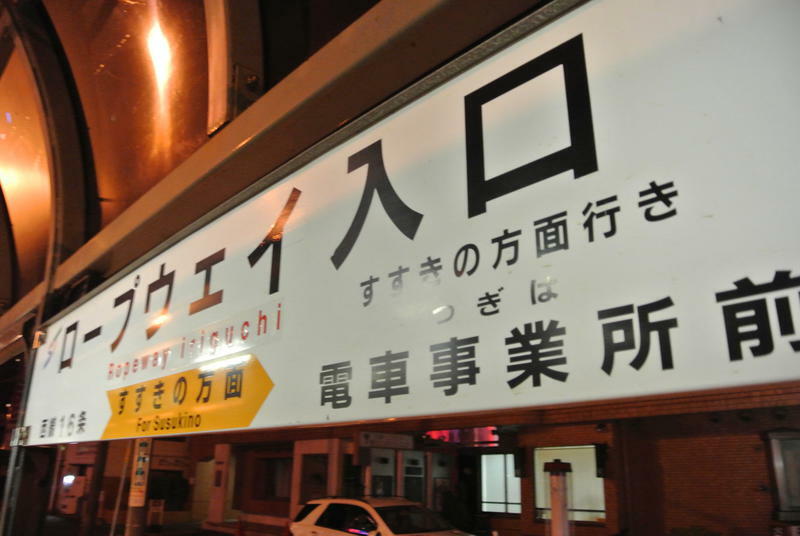 It takes about 15 minutesto get to the bus stop ‘‘Ropeway iriguchi”. Get off there and walk for about 5 minutes to ‘‘Mt. 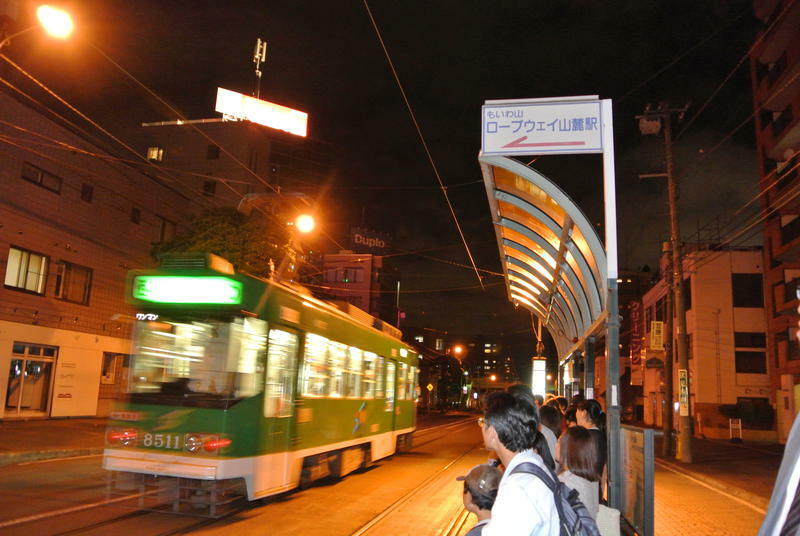 Moiwa sanroku station”. 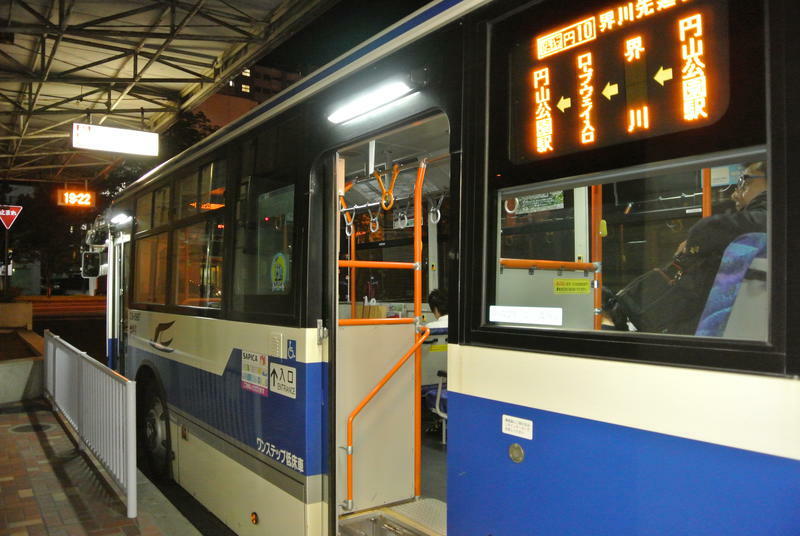 Some buses on [Circle No. 11] will take you all the way to ‘‘Mt. 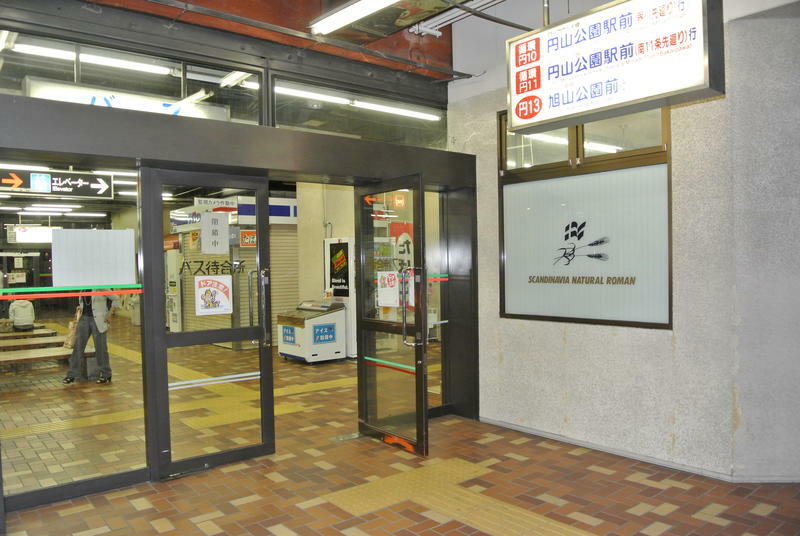 Moiwa sanroku station”. It is more convenient to use this one, if it suits your schedule. But you will have to check the time table because both buses come only once or twice every hour. 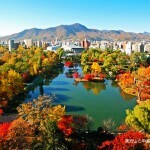 Another great idea is to visit major sightseeing spots in Sapporo city with a guide and get to Mt. Moiwa ropeway. 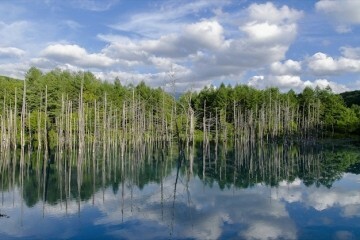 About 30 minutes from Sapporo station. About 10 minutes from Subway Tozai line, MaruyamaKoen Station. Follow Ishiyama Dori (Route 230) to Jozankei. Turn right at South 19 junction to get to Mt. Moiwa sanroku station. There is a free parking slots for some 120 cars very close to Mt. Moiwa ropeway ‘‘Moiwa sanroku station’’. 3. Use ‘‘Mt. Moiwa ropeway” and ‘‘Moriss car” to the mountain top. 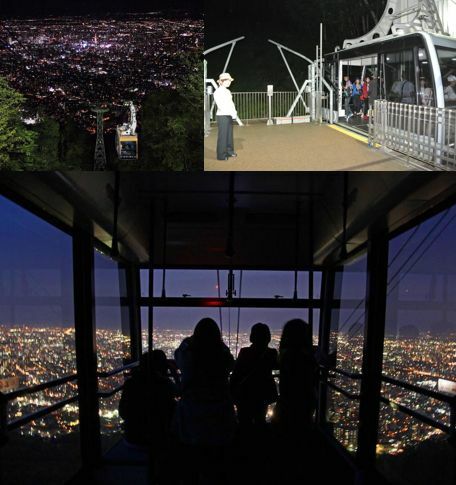 The ropeway has been renovated with a bigger glass panel, and it takes you to the Chufuku station after about 5 minute journey of 1200 m (0.74 mi). The ropeway operates every 15 minutes. 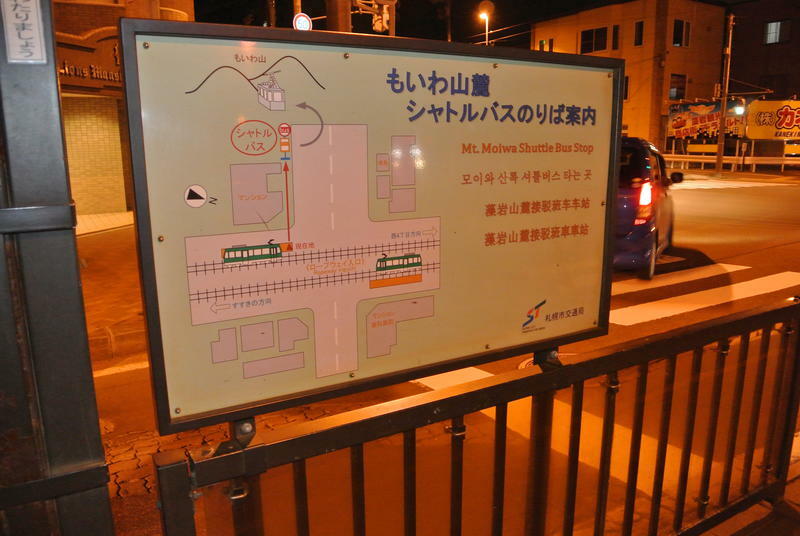 Once you get to Chufuku station, connect to the latest Swiss cable car ‘‘Moriss car” that takes you to the mountain-top observatory.